On this day in 1915, Marvel Galveston Bernhardt enlisted in St. Catharines, Ontario. He was born on December 15th, 1895, in Thurlow Township, Hastings County, the son of Robert Bernhardt and Catherine (née Maracle), who were Mohawks. The family were living in Deseronto in 1901 and had moved to Midland, Ontario, by 1911. Marvel was a saw mill worker when he joined the 98th Battalion of the Canadian Expeditionary Force with the regimental number 210075. He was described as five feet nine inches tall, with a dark complexion, black eyes and black hair. His service record shows that he arrived in England on July 12th, 1916. He served in France with the 58th Battalion from September 1916. On October 26th, 1917 he suffered a gunshot wound to the hip at the second Battle of Passchendaele. 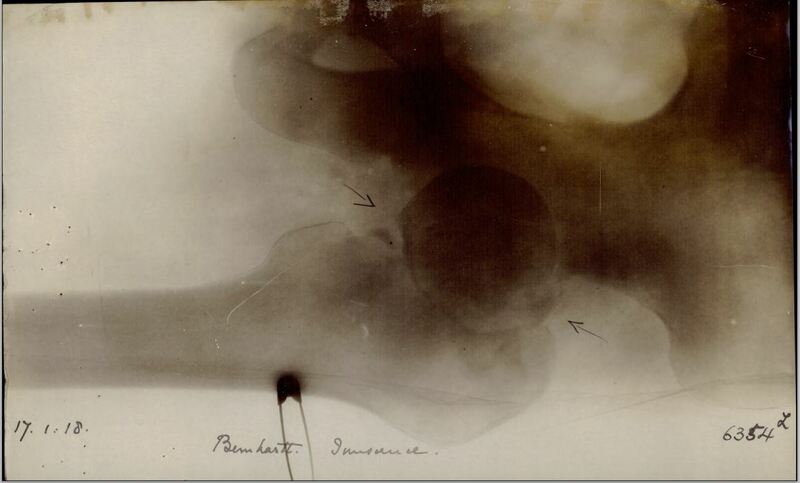 The bullet destroyed the top of the bone in his left thigh and Bernhardt spent the next twelve months in hospital in England, much of it with his leg in plaster. He was sent back to Canada in October 1918 and spent another nine months in hospital here. His left leg ended up three inches shorter than his right. In 1921 Marvel was living in Port Dalhousie with his mother and his brother, Cornelius. He married Loretta Mae Maracle in 1931 in Deseronto and the couple lived in Brant Street for the rest of their lives, raising ten children. Marvel died in 1967. Loretta Mae’s memories of his First World War experiences featured in an article published in the Belleville Intelligencer in 2009. She died in 2012. I knew this man…he was a great fella as well as his whole family!!! !